It could have been a simple case of a corporation being penalized by the Securities and Exchange Commission (SEC) for violations of corporate law or the Constitution. Usually the SEC acts when a complaint against a corporation is filed, in an intra-corporate battle, or when a corporation is remiss it its submission of SEC report requirements. But the case of online news site Rappler raises a lot of alarm bells. As the public very well knows by now, Rappler’s certificate of registration has been revoked by the SEC on charges that it has violated the Constitutional provision against foreign ownership of mass media. What is sinister about this? For one, Rappler, along with ABS-CBN and the Philippine Daily inquirer, has been the subject of a lot of tirades by President Rodrigo Duterte. Recently, President Duterte even called Rappler a fake news site. The House committee intends to insert the phrase ‘responsible exercise of’ as a condition for the enjoyment of the freedom of speech, of expression, the press, and to peaceably assemble and petition government for redress of grievances. Now who would determine what constitutes the ‘responsible exercise’ of these rights? Malacañang? Congress? It is the height of naiveté to think that the Rappler case, the tirades against media agencies, and this proposed amendment are not connected. If this amendment is passed, and the Duterte government succeeds in closing down a media agency, which it deems critical to its rule, then soon we would wake up once more with our rights effectively curtailed, as what happened in the early morning of September 21, 1972. Thus, the people’s vigilance is a must. Beneath the so-called push for federalism are amendments to the 1987 Constitution that would increase the power of government by curtailing our rights, extend the terms of office of incumbent officials, including our dis-honorable ‘representatives,’ and effect a total sell out of our national patrimony. 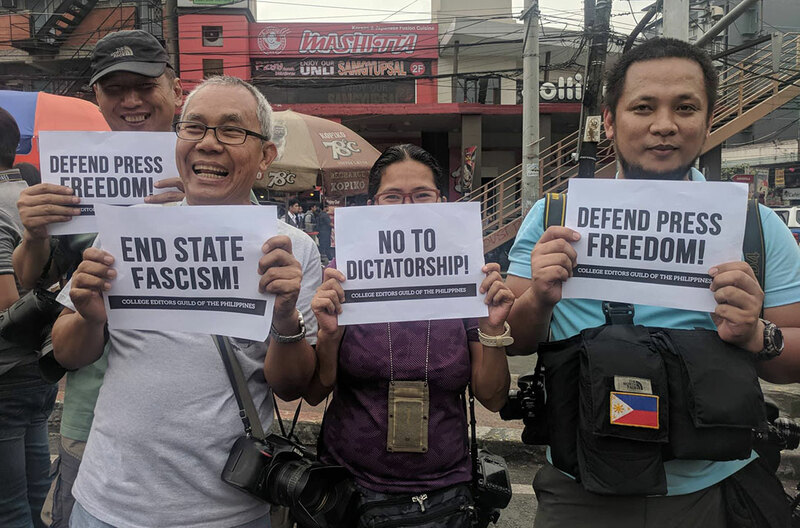 With the Congress kowtowing to the whims and caprices of the Duterte administration, as well as pushing for their own self-interests, the Filipino people could not rely on its dis-honorable ‘representatives’ to protect our rights and to put a stop to the plans of the government to impose its iron-fist rule. This is not the first time that an incumbent administration has tried to curtail press freedom. This is not the first time an administration pushed for the same type of amendments to the 1987 Constitution. In fact, all administrations after the Cory Aquino administration attempted to amend the Constitution. The only thing that stopped them was the political action of the Filipino people.